Followers of Jewish Defense League founder, Knesset Member Rabbi Meir Kahane gather in J'lem marking 30 years since banning of Kach party. Hundreds gathered at the Heichal David event hall in Jerusalem Thursday evening to mark the 28th anniversary of the assassination of Rabbi Meir Kahane, the founder of the Jewish Defense League and Knesset Member for the now-defunct Kach party. 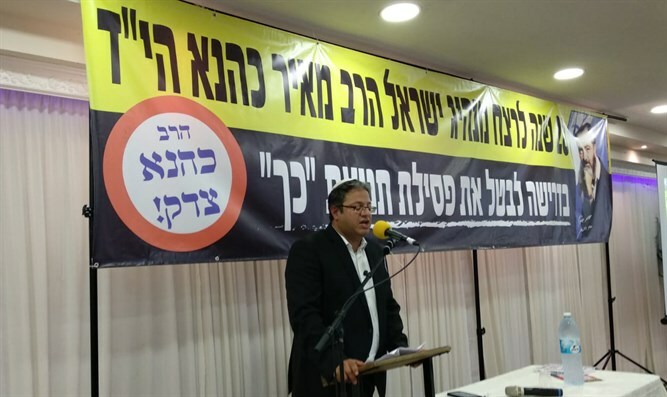 Students and supporters of the late rabbi also used the event to mark the 30th anniversary of the banning of Rabi Kahane’s Kach movement, which was barred from participating in the elections for the 12th Knesset in November 1988. “Twenty-eight years have passed since the murder of this great Jewish leader,” said attorney Itamar Ben-Gvir, a member of the Otzmah Yehudit party, which was formed by former Kach members Baruch Marzel and former National Union MK Michael Ben-Ari. “They didn’t take his body, but they tried to take his soul – to silence him and shut his mouth. Looking in retrospect twenty-eight years year, it looks like it is impossible to silence the true ‘Jewish Idea’,” Ben-Gvir continued, alluding to the title of Rabbi Kahane’s book “The Jewish Idea”. Born in Brooklyn in 1932, Rabbi Meir David Kahane was ordained at the Mir Yeshiva in New York, becoming rabbi for a congregation in Queens in 1958. After working as a consultant for the FBI in the 1960s, Rabbi Kahane founded the Jewish Defense League in 1968, with the goal of providing security for American Jewish communities, and agitating on behalf of Jewish causes abroad – most notably the plight of Jews in the Soviet Union who wished to emigrate. Rabbi Kahane quickly became a controversial figure within the Jewish community for the JDL’s harassment of Soviet diplomats. In 1971, Rabbi Kahane and his family immigrated to Israel where he established the Kach movement, running for Knesset in 1973. Running on a platform supporting the expulsion of Israel’s Arab population and the annexation of Judea, Samaria, and Gaza to the State of Israel, Rabbi Kahane became a highly polarizing figure in Israel. 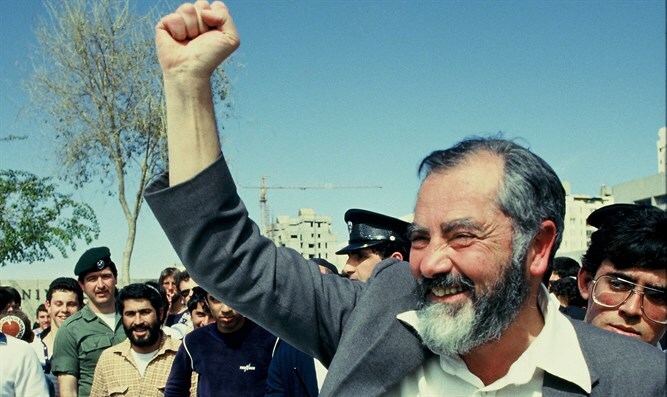 Kahane served in the Knesset as the Kach party’s sole MK from 1984 to 1988, before the faction was banned from running for the 12th Knesset, after polls predicted the party would win as many as 12 seats. In 1990, Rabbi Kahane was gunned down by Sayyid Nosair, an Egyptian terrorist with ties to Al Qaeda. Rabbi Kahane’s son, Rabbi Binyamin Zeev Kahane, was murdered along with his wife in a terror attack in Samaria on New Year’s Eve 2000.